Are you a Denver Broncos fan? This Guardsman sure is — enough to be a part of the team. 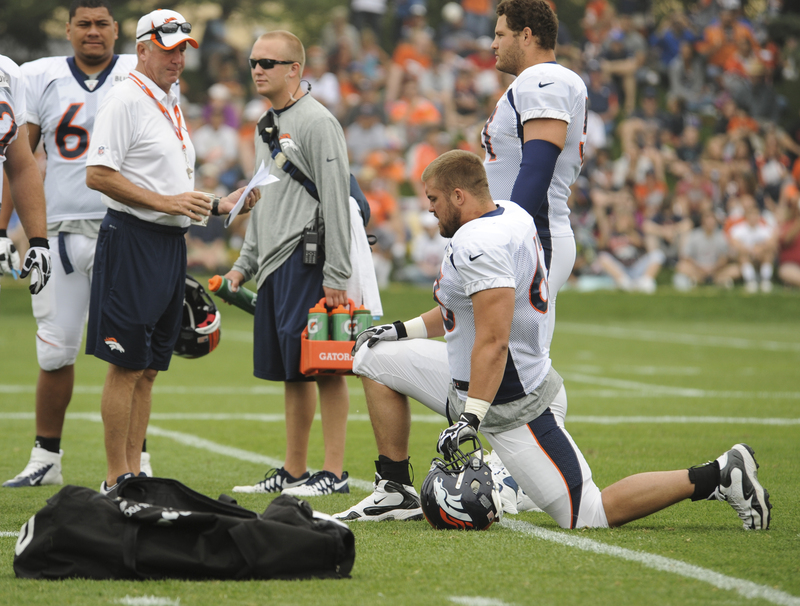 Benjamin Garland, first lieutenant for the 140th Wing, Colorado Air National Guard, is now the Denver Broncos offensive guard. After a long offseason and spending last year on the practice squad, he’s now in the process of transitioning from defensive tackle to offensive guard, wearing number 63 for the Broncos. “Serving his country” is a passion that comes as a close second, he said. Garland served his annual commitment in the Guard during the early part of 2013, according to the release. Garland said his time with the Guard was valuable and he learned quite a bit. He was sent on a TDY to Jordan as part of the State Partnership Program public affairs exchange. During the visit, his team demonstrated U.S. Air Force public affairs operations, for which Garland did a presentation on media facilitation. Although it can be challenging and tasking at times to pursue both of his dreams, he said it’s well worth it. “I get to put on the two best uniforms in the entire world. I’m more proud to wear each one, every day,” Garland said.